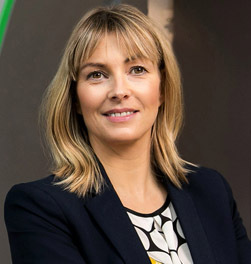 Heather Reynolds has been appointed CEO at Eishtec, one of Ireland’s leading customer service providers which employs 1,500 people across Ireland and the UK. Eishtec has clients spanning Telecoms, Social Media, Healthcare, EdTech and FinTech and supports the Irish, UK and US markets. The appointment is one of a number of structural changes at Eishtec, which includes the creation of an Eishtec Board of Directors and the appointment of Martin Murphy, former Managing Director for HP Ireland, as Chair. Heather is a founder of Eishtec and will sit on the board with her co-owners — Brian Barry and Colm Tracey — along with a number of strategic external advisors. She has more than 25 years’ experience across a number of Blue Chip organisations including AOL Inc., Dell UK and TalkTalk Group. Eishtec is in the process of delivering a very ambitious growth strategy and, under Heather’s leadership, will accelerate the drive for further growth across a variety of sectors and geographies.